The "Oriel" table lamp by Ashley Signature Design features an antique copper and wood finish topped with a modified drum shade. Additional Information 3-way switch; Type A 150 watt max. 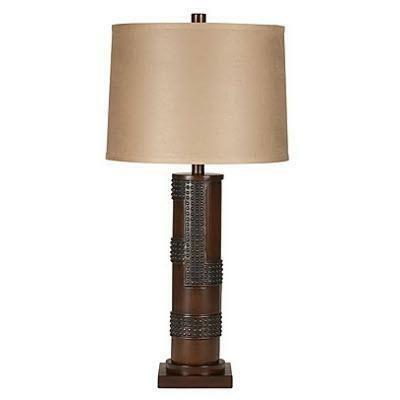 or CFL 26w max; Shade 13.5" x 14.5" x 10.5"